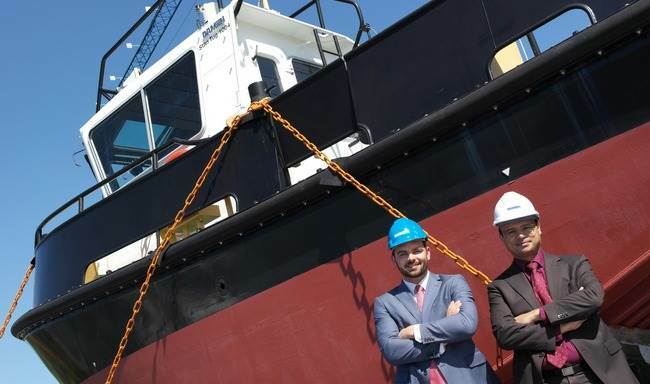 Find the latest news about Damen Marine Services projects, fleet update and events. 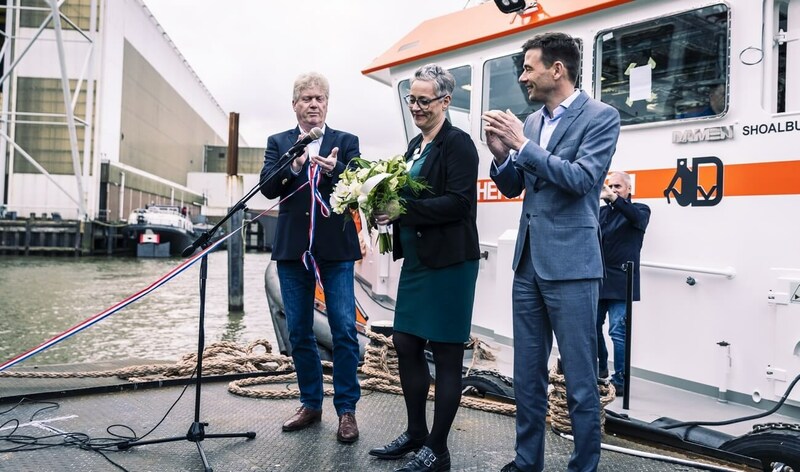 Damen Marine Services welcomes a new vessel in her fleet, named 'DMS Pelican'. 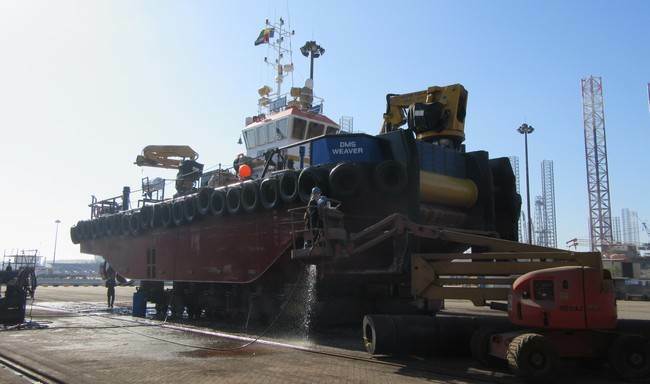 She is a Damen Shoalbuster 3209 built at Damen Shipyards Hardinxveld. 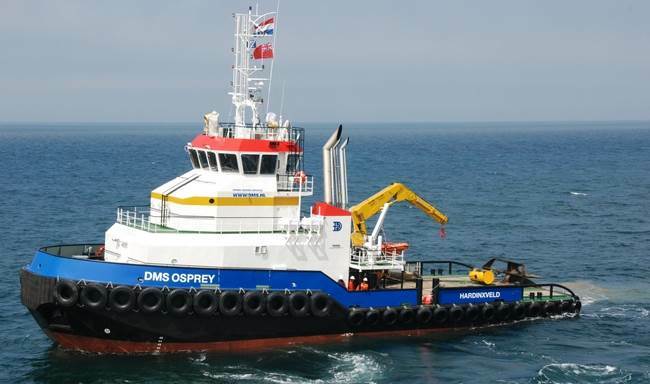 'DMS Osprey' our Damen Shoalbuster 3511 is towing a floating Derrick Barge of 90 x 30 metres from the United Arab Emirates to Croatia. 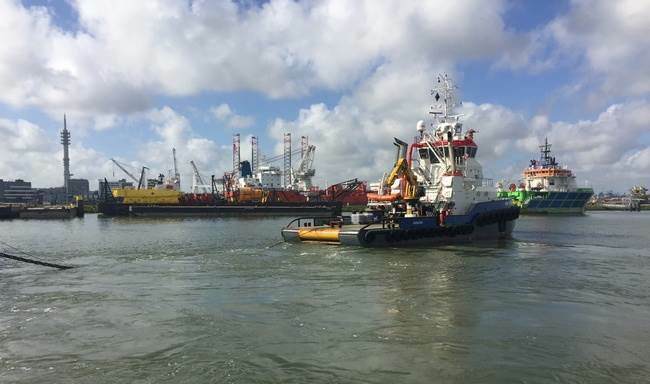 'DMS Stork' (Shoalbuster 3511) has departed from Rotterdam last Friday (9-9-2016) shortly after arrival back from her last project. 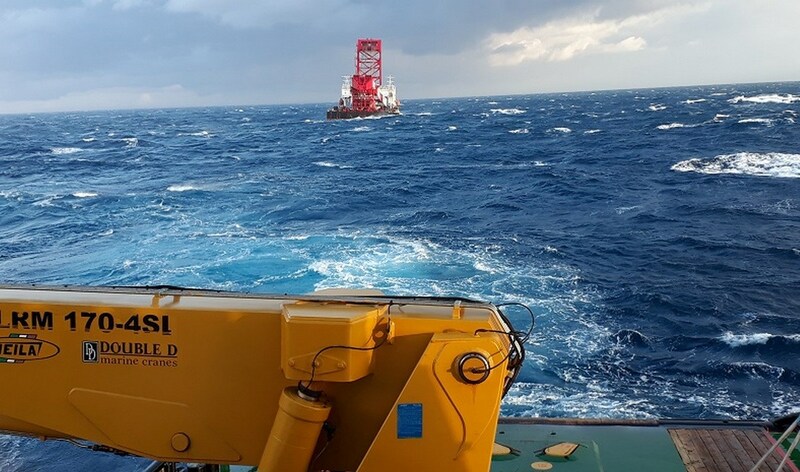 Shoalbuster 3511 'Kaikoura' has been spotted towing a barge loaded with a 1.600 tonnes topside, destined for Esbjerg, Denmark. 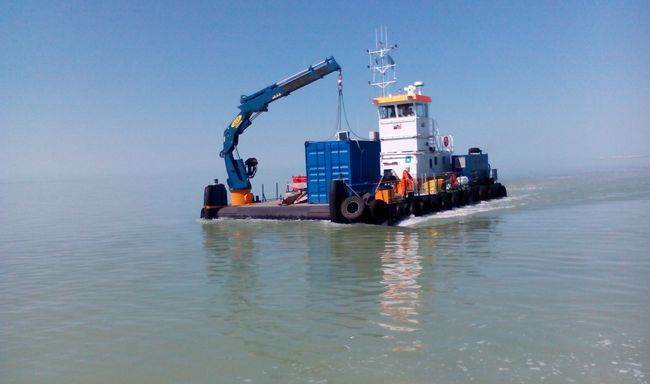 To support its ongoing dredging activities, Van Oord has commenced a charter agreement with Damen Marine Services for a Modular Multi Cat (MMuC) 2210. 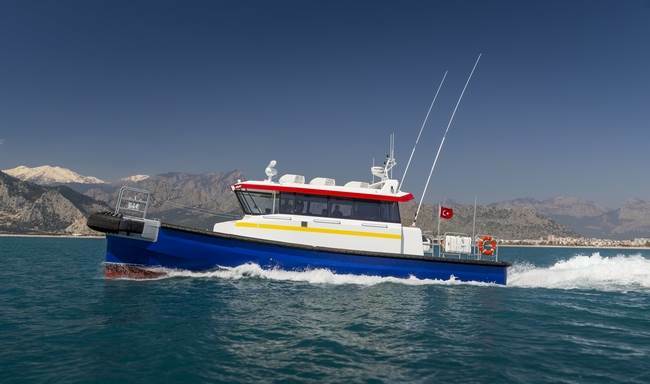 Last weekend our Shoalbuster 3511 'DMS Osprey' left from Abu Dhabi to Sharjah. 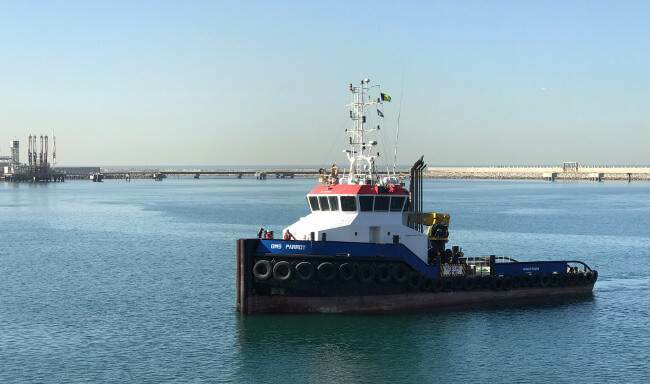 This month we have handed over the two Fast Crew Suppliers 1605 “DMS Finch” and “DMS Swift” to their new Kazakhstan owners Caspian Dredging and Marine Contractors L.L.P.